While I was crunching numbers, I also crunched on this. 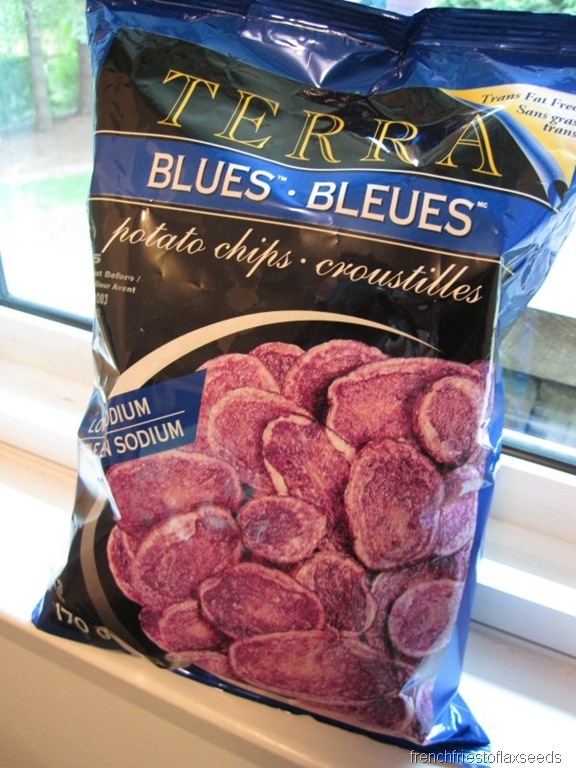 Terra Blue Potato Chips. I picked these up on the weekend as they were on sale. I love all the Terra Chips, it’s just too bad they are always so pricey. I dished out a little bowl. Dinner time eventually came around. Mom had been out hiking all day, then the rain came, so it just seemed like a good night for a quick, warm dinner. Hence, soup was on the menu. We dished up some Campbell’s Chunky Chicken Noodle. 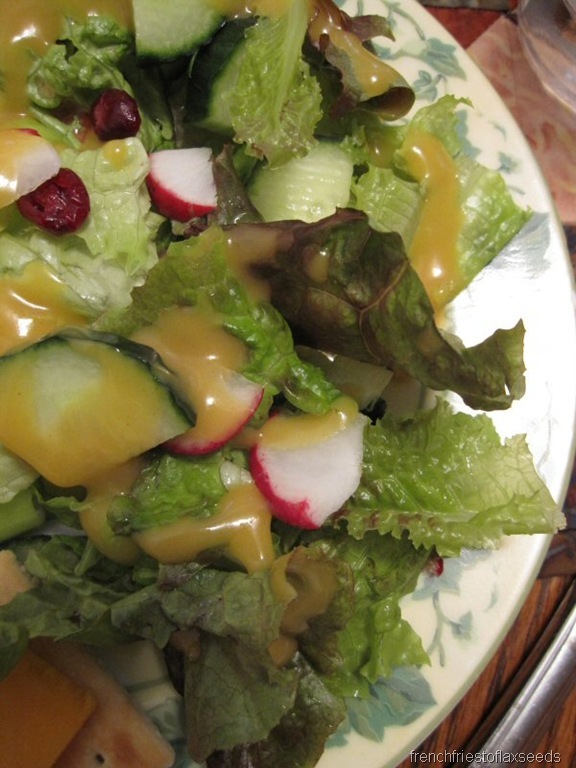 I had some leftover salad on the side – red leaf lettuce, radishes, cucumber, green onion, sunflower seeds, craisins, Brianna’s Honey Mustard Dressing. 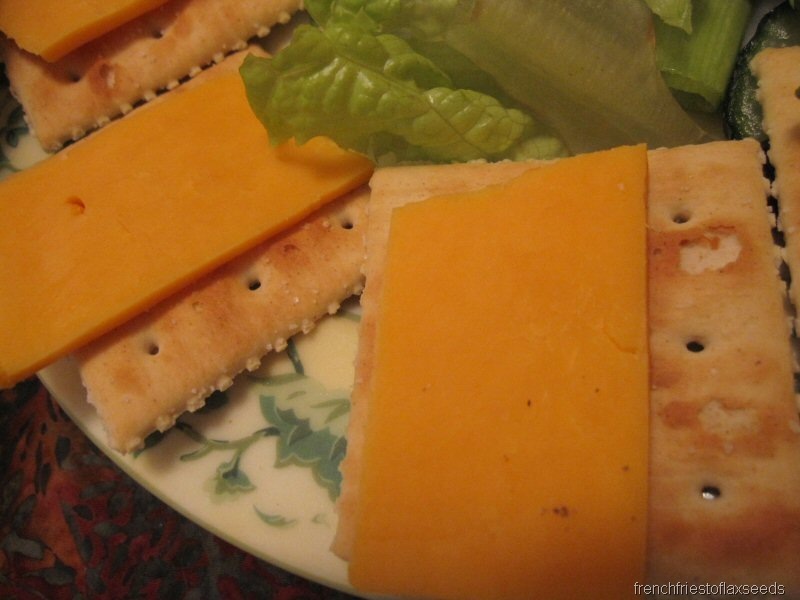 And a few saltines with cheddar cheese. 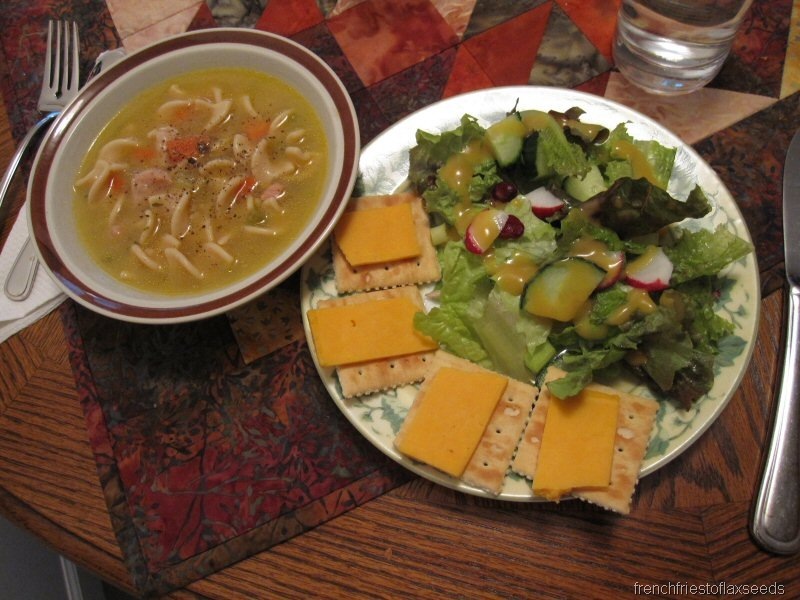 Soup + cheese + crackers. It just goes together! Although I probably should have spent some time on school work, I was just too wrapped up in my hockey pool stats to bother cracking a book. 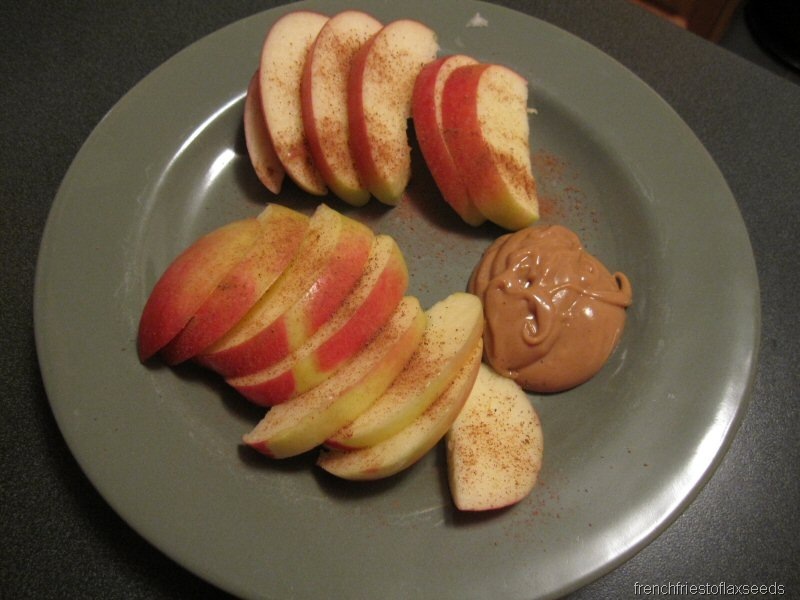 I did break for a little evening snack though – mostly because I wanted to try out some new peanut butter. 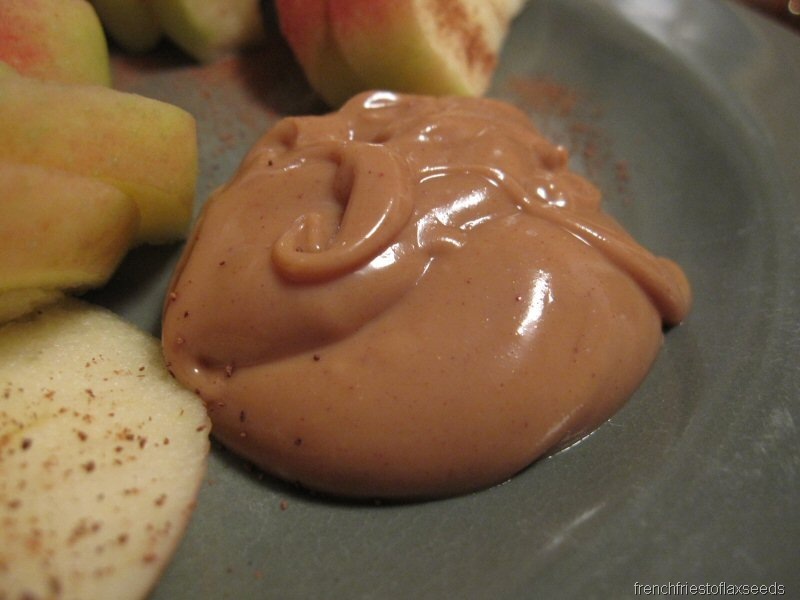 How ridiculously creamy is this peanut butter?! 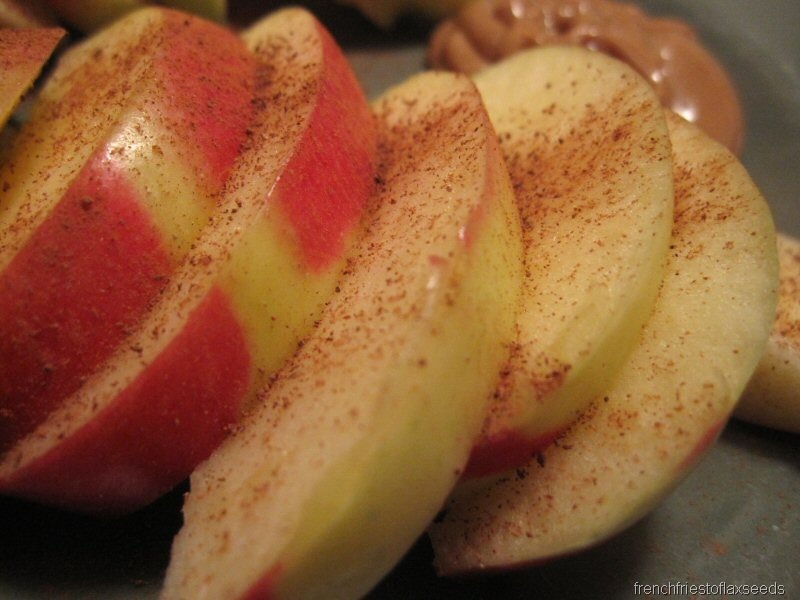 With a farmer’s market ambrosia apple & cinnamon. Now I’m going to drag myself away from the computer, and actually head to bed. Oh, who am I kidding. I’ll be taking the laptop with me. LOL. Night! 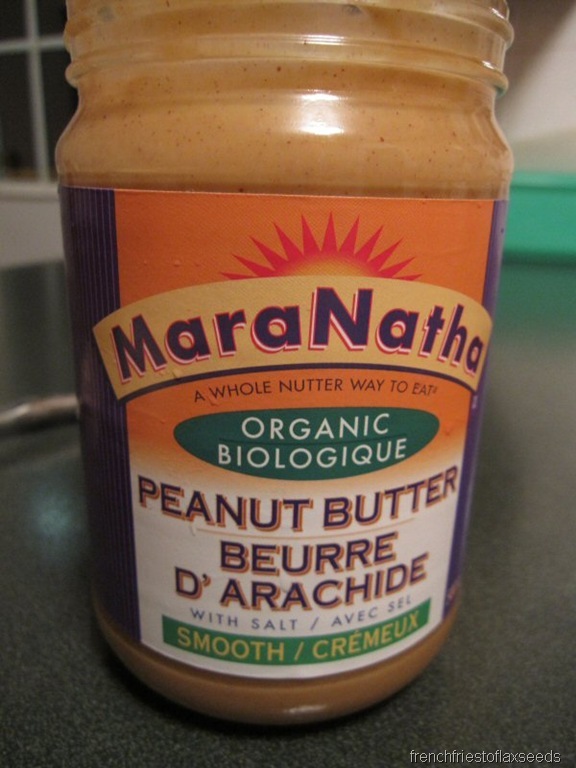 MaraNatha makes the best almond butter and I think that PB looks fabulous! You’ll have to be sure to let us know if you end up loving it or not. I’ve checked out those chips before but haven’t ever bought them. They look good and they’re my fave colour. I also like that they are cut thicker. Seems like it would make them more hardy, ya know? 2.99?? How cheap!! I agree with Krista above, Maranatha’s almond butter is awesome, but I agree with you about the PB, it’s not salty or crunchy enough. It still tastes really good though. I love Terra chips. I also like when chips are cut thicker. 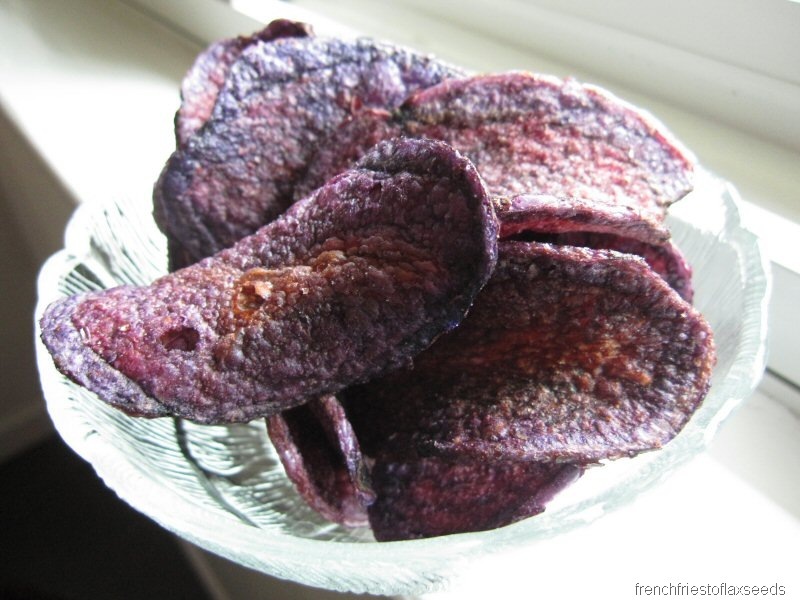 I’ve never had the blue chip flavor, I usually get their veggie (beet and sweet potato) chips! They are so addicting. hurray for cheese n crackers!!!! have a great day Marianne! 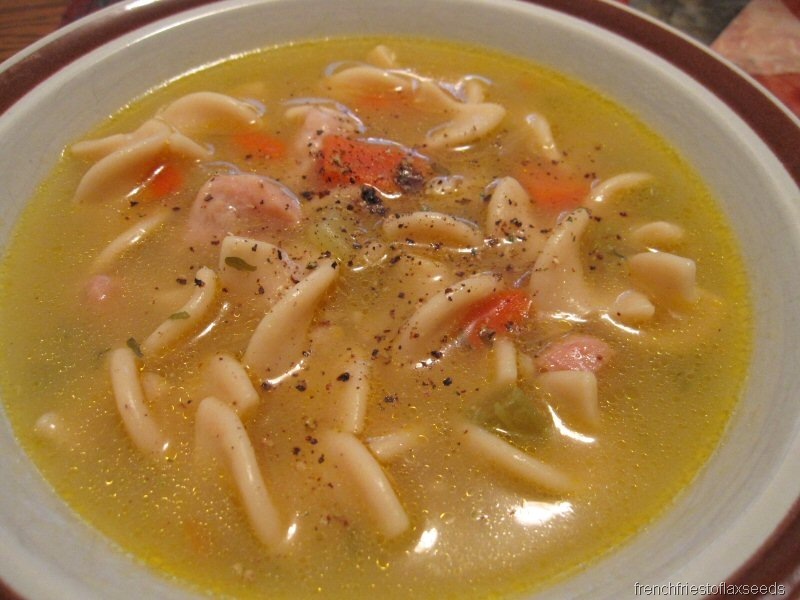 warm soup is my favorite thing about the cold weather, and you reminded me how much i dont eat it enough! Hope hockey stats is going good! Have you ever tried grinding PB at the store? You know, I’m not sure if any stores around here offer that. I know the Whole Foods downtown has a fresh grind PB stand, but none of the stores out in the ‘burbs do. I bet it tastes amazing though.